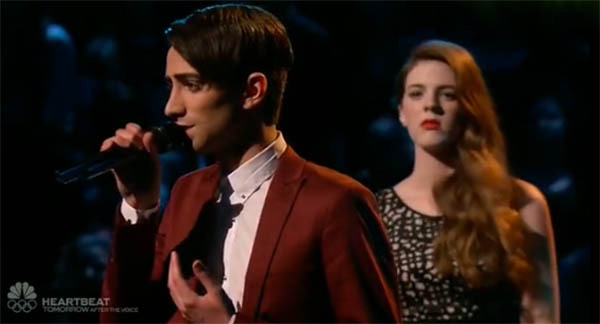 Emily Keener and Jonathan Bach from Team Pharrell sings ‘Explosions’ on The Voice Season 10 Battle Rounds, Monday, March 21, 2016. “I feel like you were both stronger on your own and you two together was not harmonious,” said Adam Levine. “Jonathan, you are such a good singer and you stepped into character. Emily, seems such an honest singer,” said Blake Shelton. “Emily, this song was little less in your reel house. Jonathan, you enjoyed giving yourself to the performance value and connecting with the audience,” said Christina Aguilera. “Emily, you continue to push and i thought it was beautiful applaud. Jonathan, you came out here and made the song your own,” said Pharrell Williams. The winner of this battle is Emily Keener. No steal for Jared Harder. Watch their performance on the video below.